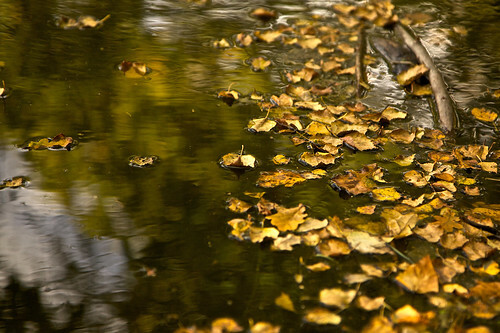 Beech and Oak meet in the pond, a photo by natamagat on Flickr. in Thorncombe Woods, near Thomas Hardy’s birthplace. Beautiful image! It reminds me of the gold leaves that chefs put on cakes and cupcakes. It looks like a cold day though.